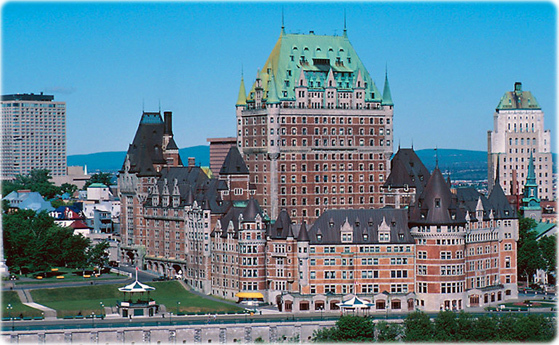 Chateau Frontenac hotel Architecture in Quebec City. Copyright © Geographic Guide - Geography of the country of Norte America. Maps of provinces and main Canadian cities. British Columbia, Quebec and Ontario. Location of streets.